Members of the Active Flag Committee lead and co-ordinate all physical activities in the school. 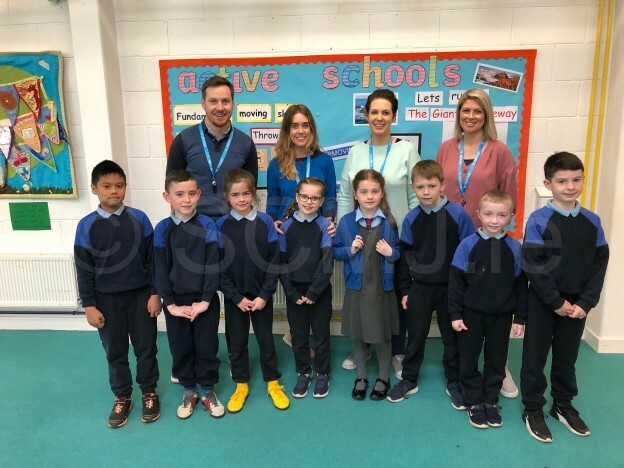 Its members work hard to make sure all of the children in the school gets lots of varied and structured opportunities for physical education and physical activity. They liaise with outside agencies and organise the annual Active Week. They are also spearheading this year’s application for the ‘Active Flag’. The committee is made up of teachers, pupils and the principal Caitlin O’Connor.